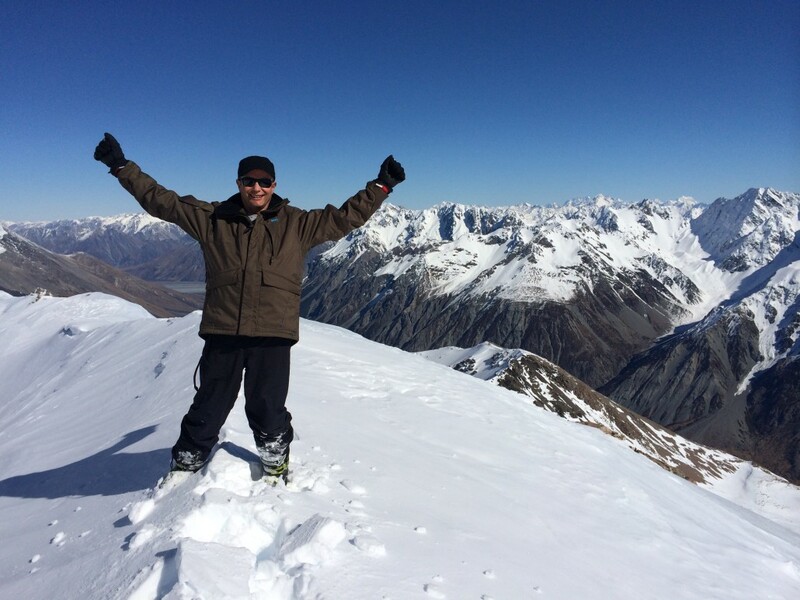 Brian Thacker Travel Writer | My 30 year love affair. My 30 year love affair. 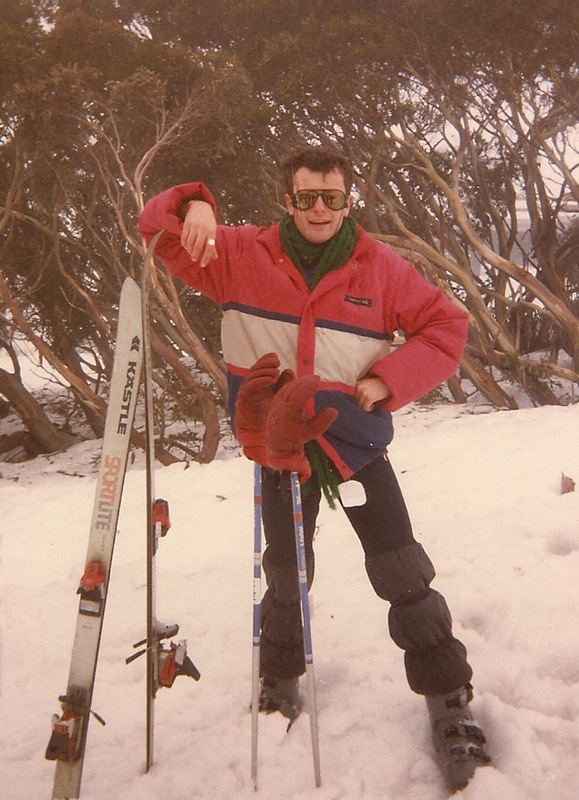 It was 30 years ago this winter that I first clicked into a pair of skis, and from that very first incredibly scary green run at Falls Creek in Victoria, Australia I fell head over heels in love – although there was more head over heels than love in that first week. 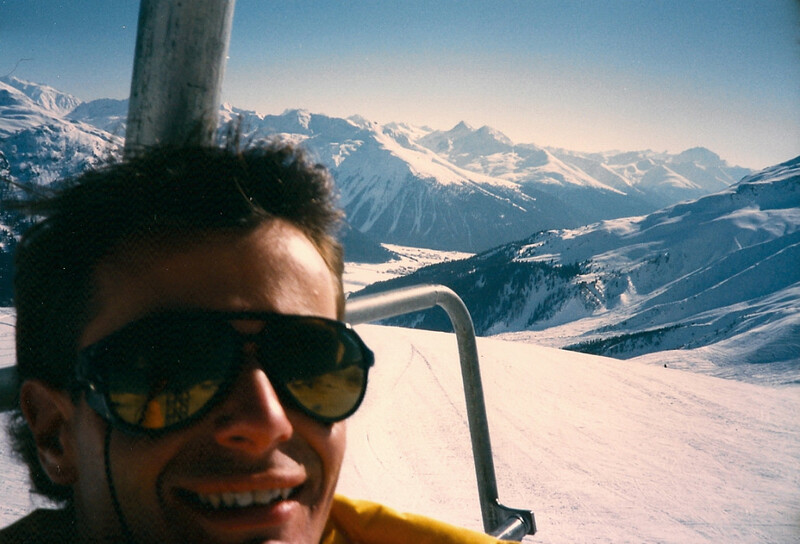 Since then I have skied over 500 days, at 28 different resorts in 9 different countries. My love affair became an addiction – and an expensive one at that! 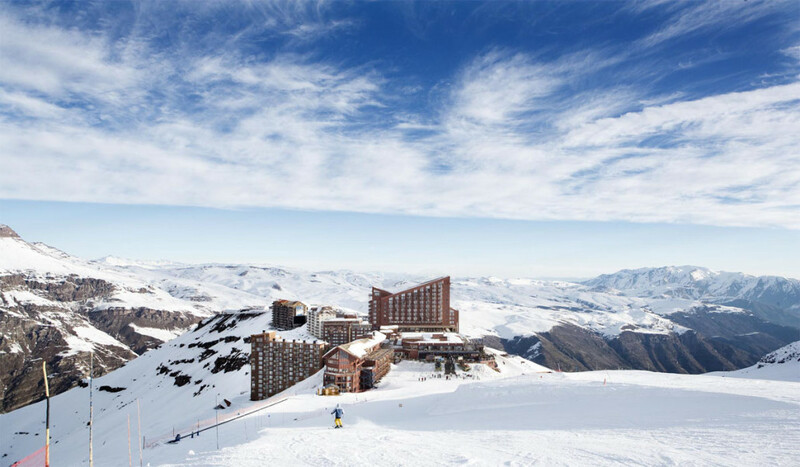 I love the mountains, the fresh crisp air, the open fires, the ice bars, the après-ski, the hot chocolates and, mostly, I simply love the adrenaline rush of hurtling myself down a ridiculously steep hill. 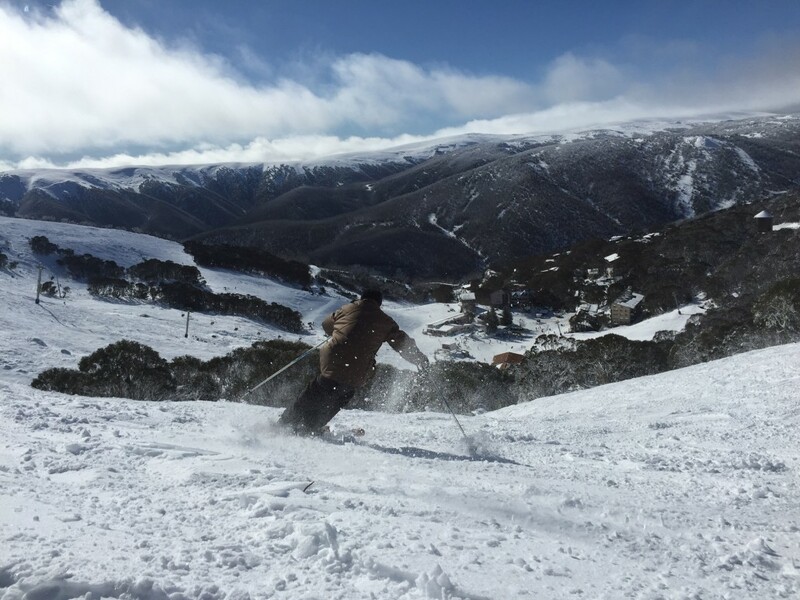 A couple of weekends ago I went back up to Falls Creek with my friend Stu who taught me to ski on my very first day. 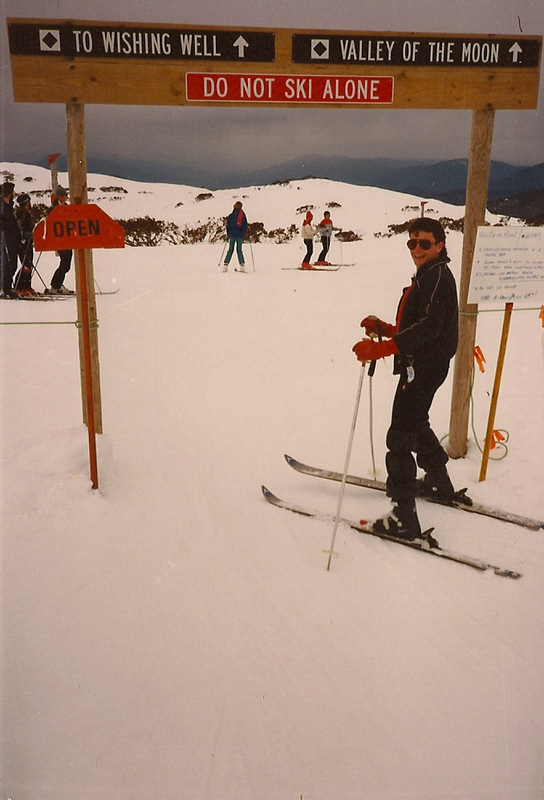 We hadn’t been to Falls Creek together for 25 years (that was also the last time that I stayed up at Falls Creek), and I was just as excited clicking on my skis on our first morning as I was 30 years ago. We all remember our first time. I was nervous, then excited and then I almost wet my pants. That was because my instructor (friend Stu) was bored after a couple of runs on the baby slope and took me down a ‘blue’ run. And although it was an ‘easy’ run I hadn’t learnt to turn yet, so I went straight down. Fast. When I got to the bottom I just fell into a heap to stop. And I loved every pee-my-pants moment of it and got straight on to the lift and did it all again. 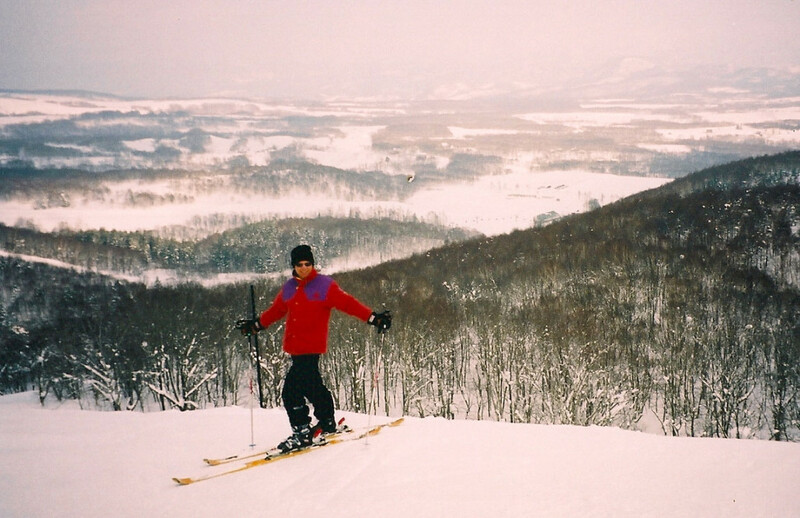 When I planned my first Big Trip OS the first thing on my itinerary was three weeks of skiing – where I blew about three months of backpacking budget. 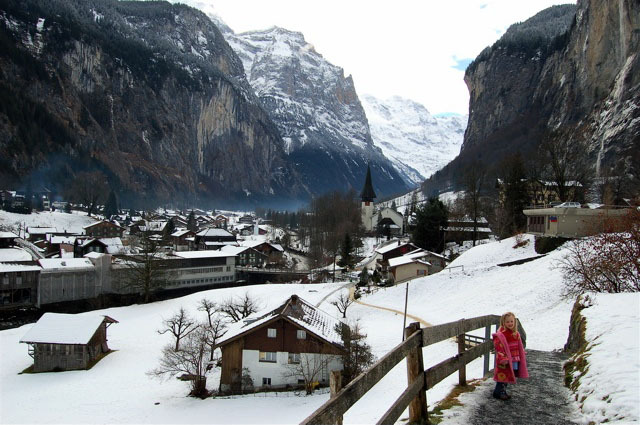 I’d never heard of Davos before, but my travel agent had found a cheap chalet there for me. Not only was I blown away by the skiing (long, long runs and dry snow), but I loved the village with its cutesy Swiss chalets, the mountain restaurants and, more importantly, shops full of chocolate. 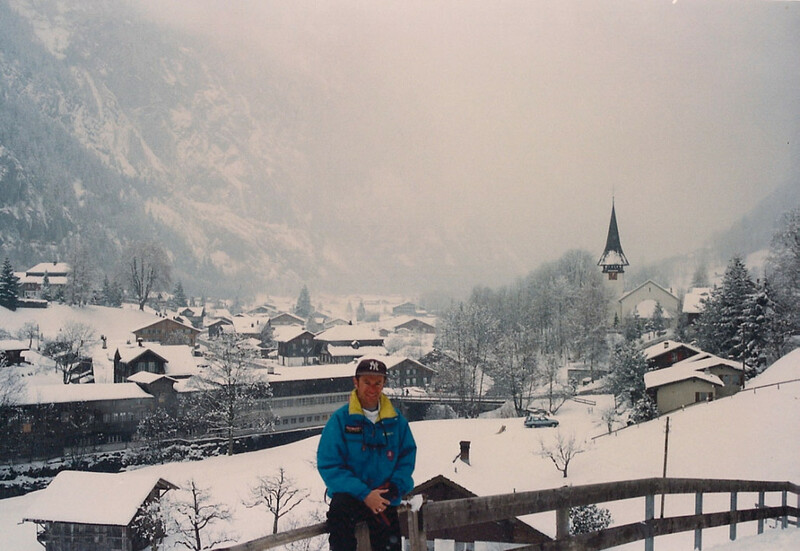 I was dreaming of a white Christmas, so on my first Christmas away from home I organised a chalet in Les Diablerets for 19 Aussies and Kiwis who just all happened to share the same flat in London. 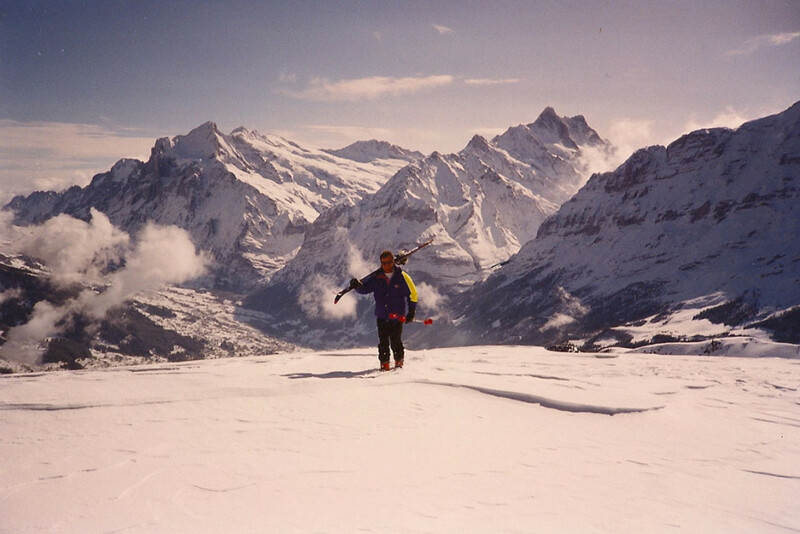 It wasn’t a great start to the season, but luckily Les Diablerets had a very big glacier to ski on. Only a few of us actually skied on Christmas Day, but we wrapped ourselves in tinsel and sang Christmas songs on the lift all day. Our Christmas lunch was bratwurst and fries sitting on the floor of a crowded mountain restaurant. It was perfect. 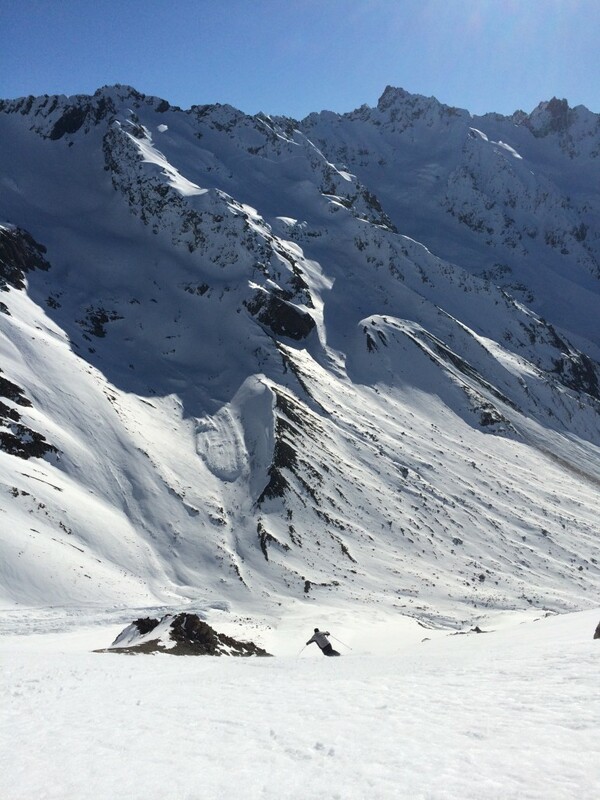 I spent most of my time face-planting in the deep powder snow of St. Anton, but when I did get a couple of turns in I was instantly hooked. Since then I’ve done at least a thousand face plants learning how to master powder and I will now happily hike for a couple of hours or pay a ridiculous amount of money to heliski, so I can get me some pow! It really was a dream job. 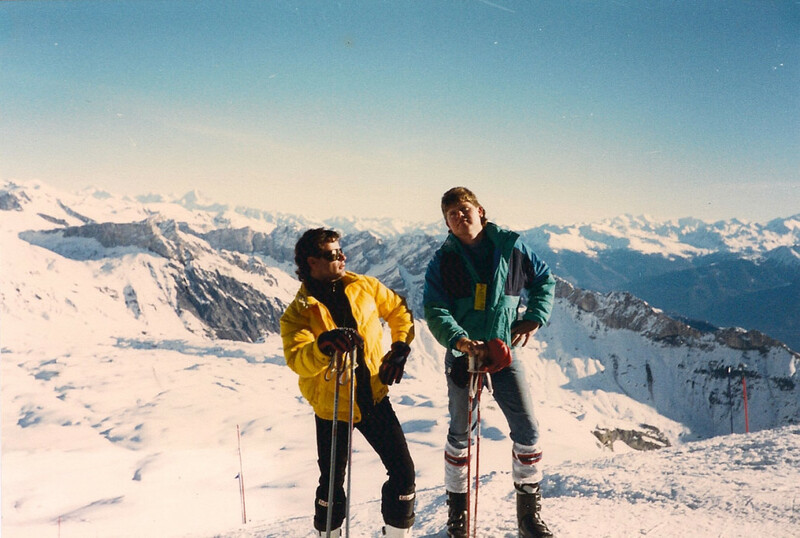 When I skied in Europe for the first time, the chalet had it’s very own ski guide. I couldn’t believe that this guy got paid to get up every morning and go skiing. To me it seemed like the best job in the world, but only a very lucky few got to do it. Five years later I became one of the lucky few and I got paid to get up every morning to go skiing. 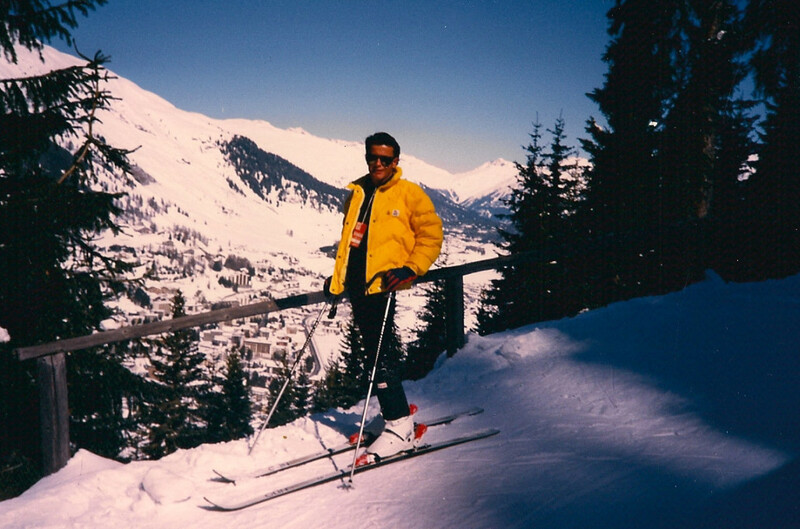 Each season I would ski over 100 days, eat around 20 cheese fondues and 40 gulasch soups, drink dozens of crates of Rugenbrau beer and I loved every minute of it. I’ve heliskied six times now, and although they have all been simply amazing, you can’t beat your first time. A helicopter takes you from the valley floor then climbs and climbs and climbs into the heart of the range then dumps you on the top of a mountain peak. When the chopper flies off it is total silence and there is untracked deep powder snow as far as you can see. There were only four of us (three punters and a guide) on my virgin outing in virgin snow and I have never hollered so loudly or joyously as when I dropped down into the first of five very long runs for the day. And, best of all, when you got to the bottom the helicopter would pick you up and take you to the top of another mountain peak and do it all again. 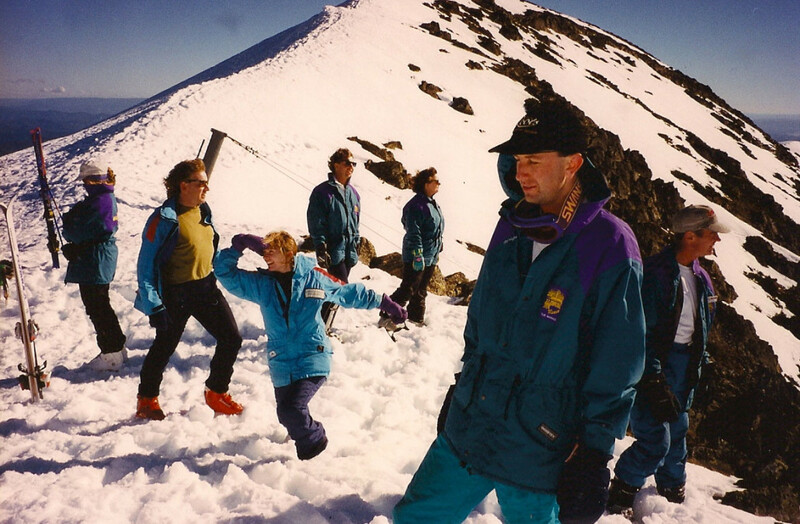 I spent 17 years working as a tour guide for day and weekend trips from Melbourne to Mt Buller (13 years) and Mt Hotham (4 years). 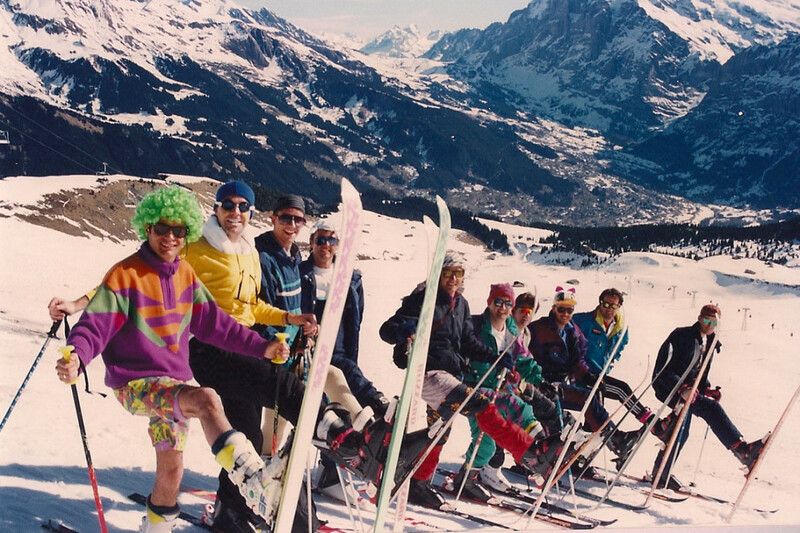 For a day trip I would get up at 3.30am for a 4.15am departure then walk through a moving and rocking bus in the dark to collect money for ski hire, then ski hard for seven hours and then bus them all back to Melbourne again. Then fall into a utterly exhausted, but blissfully happy sleep. 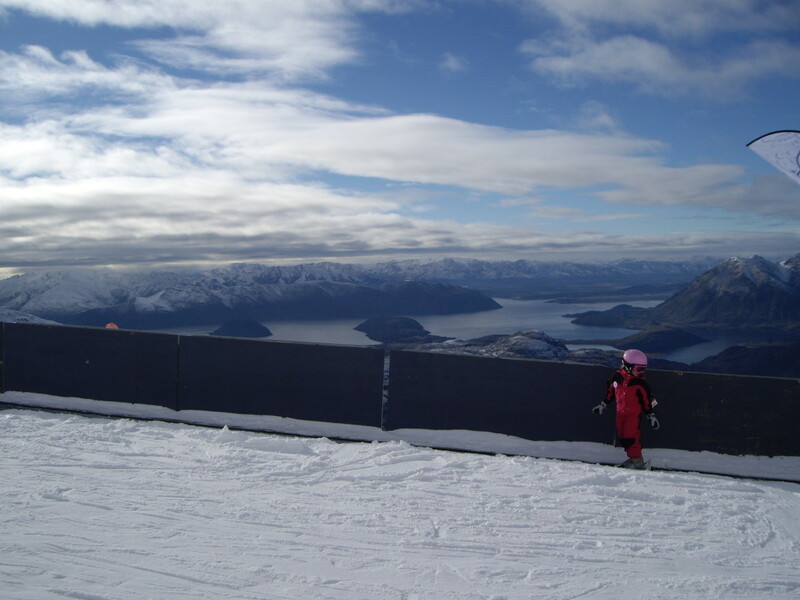 I started my daughter Jasmine skiing just after her 3rd birthday. 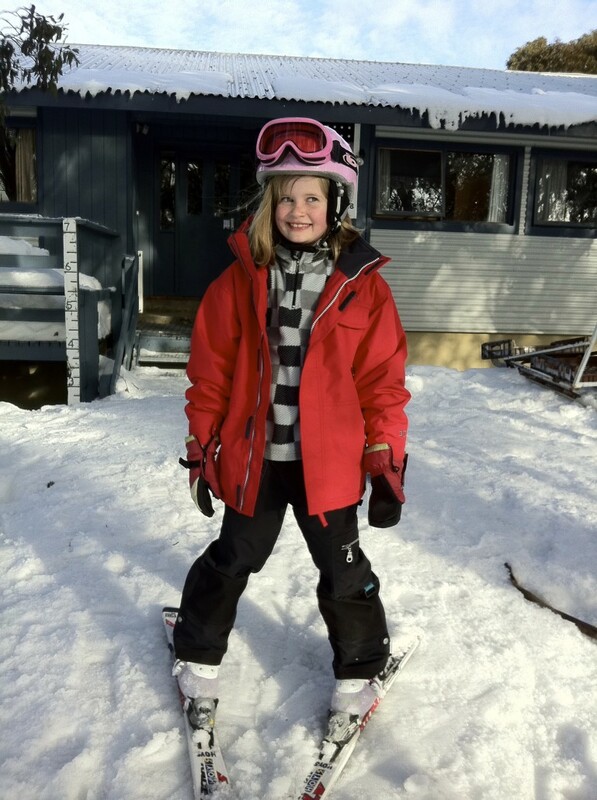 By the time she was six she had skied in New Zealand (twice) and the Swiss Alps and was zipping around the mountains. Every year we have a Dad and Daughter Ski Trip and I love it that Jasmine gets just as excited as I do when she puts on those skis. I’ve had so many highlights skiing overseas from getting lost in ridiculously deep powder in Niseko, Japan, to tackling glaciers and crevices on the 20 kilometre Vallee Blanche in Chamonix to reaching 100kms an hour on wide, empty runs in Park City, Utah. But, there are still SO many places that I still want to ski. And even if I only ski half of them I’ll still be skiing when I’m 97. I went skiing two weekends ago at Falls Creek and on our last day I got up early and went out before the lifts opened, while my friends were still in their PJs having breakfast. 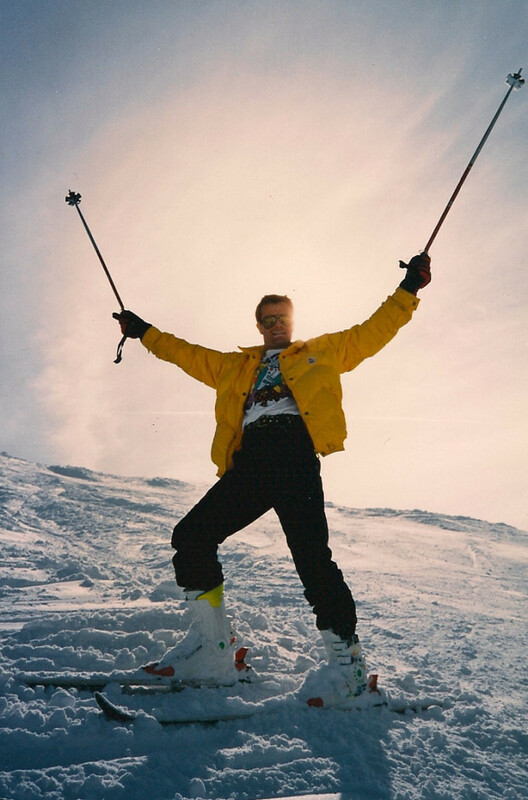 I was just as excited doing my first run down the chalky dry snow of the Summit as I was on my first ever ski run. I don’t think this addiction is going to stop anytime soon. I love the fashion, but what made you buy a purple, orange and green jumper? 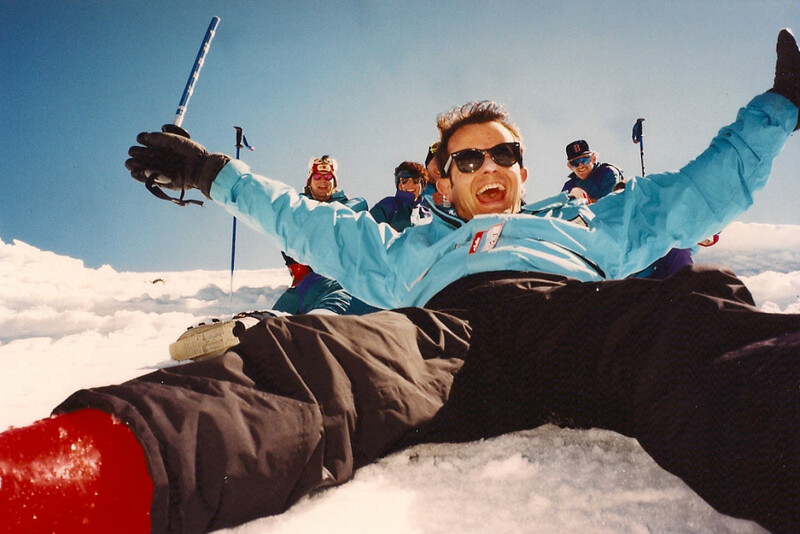 I’ll get to 20 years of skiing next year (although I’ve missed a couple with a dodgy knee). I’m very jealous of doing a few seasons at the snow. I would love to do that, but my wife would probably kill me. The season here in OIz is looking good so far! Hey, that jumper was very hip and cool back in 1990 when I bought it. I’ve actually still got it and I think it’s time to bring it out again! Yes, the season is looking good! Brian and Jasmine. Who will be the sole survivor? How Pan Am inspired me to travel.